Diamond Bank Plc recently announced the sale of its UK subsidiary Diamond Bank (UK) Plc to Weylands trust, a member of the GFG Alliance. The bank will be renamed British Commonwealth Trade Bank (BTCB). The acquisition is the second by GFG in the British financial services space. Liberty Group, a member of the GFG Alliance bought Tungsten Bank in November 2016, subsequently renaming it to Wyelands Bank. 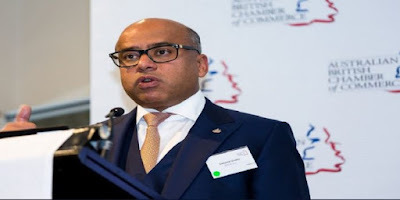 Here is a profile of Sanjeev Gupta, the Chairman/Chief Executive Officer Gupta Family Group (GFG) Alliance. Sanjeev Gupta was born in Punjabi, India the 3rd of 4 children. Gupta comes from a long lineage of industrialists and businessmen. Gupta’s grandfather owned several steel mills. His father, Parduman K Gupta began business in 1955 with the sale of fasteners for bicycles, going on to establish the SIMEC Group in 1996. SIMEC’s investments span steel,shipping, power and commodities. His brothers Alok and Raj run African Industries, a conglomerate based in Nigeria. He graduated from the University of Cambridge with an MA in Economics and Management. Prior to this, he spent two years in Turkey working at his father’s bicycle unit after his A Levels. Sanjeev founded Liberty House in 1992 with seed capital from his father’s company, as an undergraduate. Due to College rules prohibiting running a business from a charitable institution, he was evicted from the college rooms. Liberty was initially focused on trading commodities such as steel, chemicals, rice, and sugar. The company has since expanded into other sectors including recycling, aluminium, steel and engineering. Liberty was then merged with the SIMEC Group. The resulting entity is known as the Gupta Family Alliance (GFG). GFG employs over 12,000 staff across 30 countries and had revenues of close to $10 billion in 2017. Gupta came into prominence in 2013, when Liberty House, bought MIR Steel, a struggling steel mill located in the United Kingdom. The company has since been on an acquisition spree,buying several steel assets in Europe. Gupta is married with 3 kids.